Guruji Shri Narendra Babu Sharmaji has started new section in his Bruhat Brahmanda programme called Ashtadasabhuja Durga Darshana. In which Guruji reveals the details on Lalitha Sahasranamam. Guruji have divided the Lalitha Sahasranamam into 18 sections, he plays each section and reveals the Goddess Durga Temple related to it. 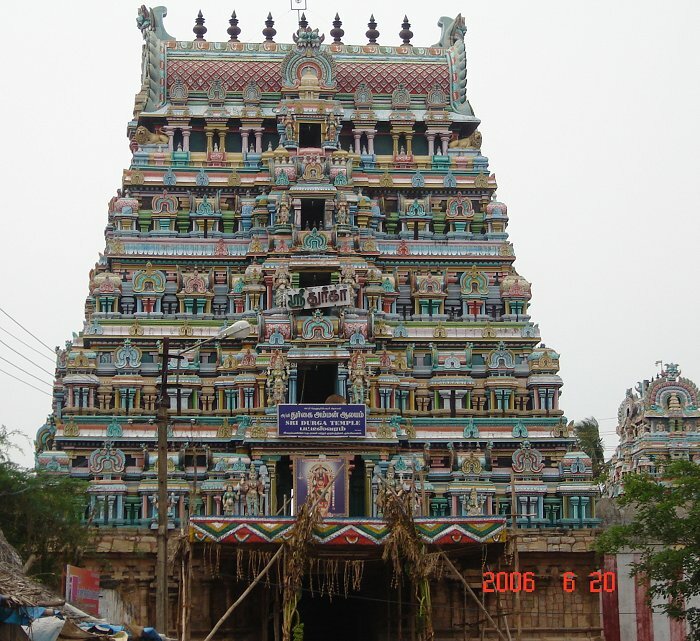 The Twelfth Temple in Ashtadasabhuja Durga Darshan is Sree Patteeswaram Durgai Temple - Kumbakonam. The Lalitha Sahasranama verse played by Guruji, is given below.